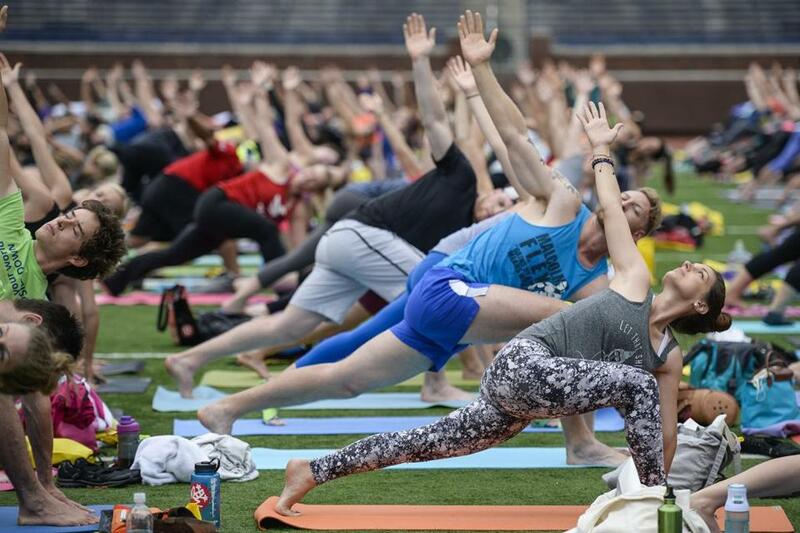 More than 1,000 people participated in a yoga session at the Michigan Stadium in Ann Arbor. For votaries in the left’s High Church of Perpetual Dudgeon, nothing is safe from the outrage machine. Yoga is just the latest addition to the list, and if you don’t understand why it’s insensitive, racist, and neocolonialist for disabled students in Canada to take a weekly class in mindful stretching — well, get thee to a reeducation camp. Everywhere these days you can find the harpies of cultural correctness ginning up a controversy over someone else’s wrongful “appropriation.” They denounce Australian hip-hop sensation Iggy Azalea for rapping with a “blaccent.” They demand that Selena Gomez apologize for donning a bindi. They fume when Americans embrace foods from Asian or Middle Eastern societies while “ignoring . . . oppression faced by those communities.” They howl when white models wear their hair in cornrows. They slam gay white men for adopting black women’s gestures or expressions. “Appropriation occurs,” lectures “Hunger Games” actress Amandla Stenberg, “when a style leads to racist generalizations or stereotypes where it originated, but is deemed high fashion, cool, or funny when the privileged take it for themselves.” Stenberg is only 16, so her self-righteous tone may be a function of adolescence. It’s typical, though, of cultural-sensitivity zealots who are quick to complain when people reared in one culture take on elements of a different culture. 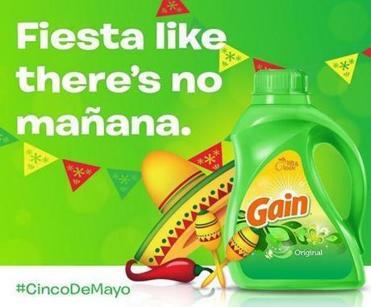 The appropriated holiday brings the potential for embarrassment and public shaming. But the complaints are humbug. Cultural appropriators shouldn’t be chastised. They should be cheered. All culture is “appropriated.” All human societies, tribes, religions, and nationalities have been influenced by others. Ideas and tastes aren’t the exclusive property of any group, and they can no more be confined behind rigid cultural or geographical boundaries than they can avoid shifting over time. Obviously it is never right to gratuitously give offense merely to be offensive. But there is nothing gratuitous about borrowing from other people’s cuisine or dress or music, especially when it is done with appreciation and enjoyment. What a blinkered mindset! Human cultures aren’t sealed beakers from which no particle must be allowed to escape. We all have the right to draw from each other’s wellsprings of tradition and art, knowledge and lifestyles. Not just because imitation can indeed be the sincerest form of flattery, but because “cultural appropriation” is how we progress. We learn, if we are fortunate, from the experience of others — we are enriched by their contributions, deepened by their insights, broadened by their disciplines.